As I watched the news reports about the violent, racist attacks in Charlottesville with tears in my eyes, I cried out to the Lord. I’d started my Radical Forgiveness series as I struggled to forgive a few people who had hurt me deeply but showed no remorse, a few others who minimized, justified, and excused their actions while continuing to wound my heart through their surface-apologies. My personal problems seem so small today. Yet, the Lord has perfectly timed this study to prepare me for the overwhelming emotions I’m processing as I witness hate infesting communities across the world, the riots in Virginia being one more checkmark on evil’s scorecard. What are Christ followers to do in the wake of such senseless violence? We can start by living up to the name we claim. Christians are, by definition, Christ followers, empowered by the Holy Spirit who dwells within each believer and purposed to live as representatives of the King of Kings. 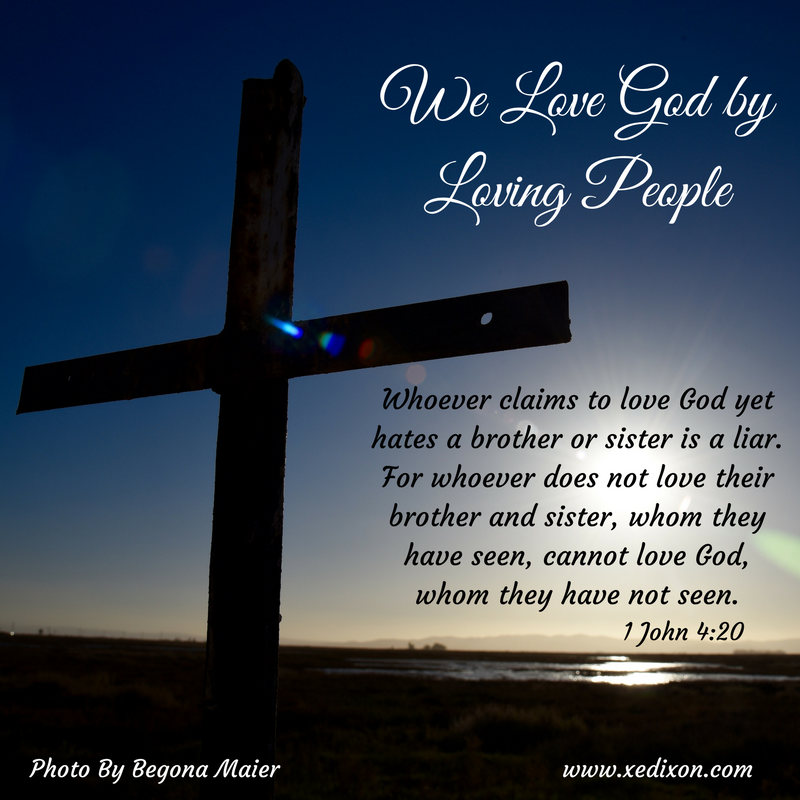 The Bible clearly states that God’s servants cannot claim to love Him while hating others. The hatred and ignorance that instigated the racist terrorist acts of violence in Charlottesville stem from evil that cannot be minimized, justified, or ignored. Christ does not condone hatred, racism, injustice, discrimination, or violence. Neither can we. As Christ followers, we cannot be content with cowering in our comfort zones, hiding behind apathy, indifference, or approval through silence, in order to avoid conflict or criticism. Faith in Christ should embolden us, empowering us to speak truth in love, with gentleness and respect. As we place our hope in Christ, we can persevere in love, making a difference because our loving Lord did not give His life so that we could be indifferent. Jesus Himself said that loving Him is synonymous to obeying Him. He also clearly declares the greatest commandment. Truly loving God results in Spirit-empowered obedience, which would make loving our neighbors our top priority. This love requires us to pray for those who are hurting and those who hurt, to rely on God for guidance, wisdom, and strength, and to stand in unity against the evil that feeds racism, which is rooted in a false sense of superiority. In the parable of the Good Samaritan (Luke 10:25-37), Jesus affirms that indifference is sin. He commends the Good Samaritan for having mercy on his fellow man and commands His disciples to “go and do likewise” (v. 37). Loving our neighbors is showing mercy, a commandment not an option, if we follow Christ. Ambassadors of Christ can . . . must speak out against injustice with courageous faith. Through forgiveness and unity, we can begin a wave of healing that begins within our homes and extends into our communities, in person and online. Radical forgiveness diminishes the power of hate. As we’ve explored over the last four weeks of this series, it’s important to understand what forgiveness is and isn’t, as we move toward healing in the power of Christ’s life-transforming love. Forgiveness and reconciliation are intimate exchanges between us and God, requiring a process that doesn’t always lead to the restoration of relationship or guarantee an offender’s change of heart. But as we pray for our offenders, asking God to overwhelm them with His life-transforming love, and yes . . . asking God to forgive them . . . we can be freed through forgiving, as we’ve been forgiven by Christ. We can place the offenders in God’s trustworthy hands. We can rely on God’s just and merciful love to work in and through the most painful circumstances, and even change the most hardened of hearts . . . just as He continues to change our often stubborn and hardened hearts through His loving grace. Once the Lord helps us process our emotions and rise above resentment and bitterness, He can empower us to pray for those who persecute and hurt us, as we battle hate with love . . . knowing love prevails because God Himself is love. Grief comes in waves, and the road toward change and healing will not be easy or short. But as we stand together, we can celebrate the beautiful diversity of those God created and loves, even those who do not love Him. To pray continually and depend on the Lord completely, as we love Him and all people with our words and actions, regardless of how we differ or disagree in beliefs . . .
To love all people as Christ loves us, because He first loved us . . .
To love all people by speaking up and inciting peace as we refuse to tolerate or ignore any act of injustice, violence, hate, racism, or discrimination . . .
And yes, even by embracing radical forgiveness as we forgive those who have not yet been forever changed by the love of Christ. Lord, thank You for loving us, forgiving us, and empowering us to love and forgive others. As we watch the atrocities unfolding right before our eyes and grieve over the blatant hatred destroying lives, it is ever apparent that we cannot get through this without You, Lord. Please help us place hate-filled offenders in Your hands, praying for them to be so impacted by Your love that they will be forever changed, like Paul, who once persecuted the Church then became a mighty advocate of love and forgiveness as He followed You and shared Your truth wherever You led him. Yes, Lord, help us forgive first, so that we can be freed to make a difference in our world by refusing to be indifferent. As we rest in the peace of Your constant presence, please empower us to seek peace, celebrate diversity as we stand in unity, and love selflessly and generously, like the Good Samaritan . . . all the days of our lives, starting today. Photo taken and used with permission by Begona Maier. This entry was posted in Blooming in Christ and tagged Forgiveness, Spiritual Growth, Trusting God by Xochi E. Dixon. Bookmark the permalink. So many reasons forgiveness is not only obedience to God’s Word, but necessary to spiritual and mental health. Thank you for sharing Radical Forgiveness. True! So, true, Colleen! When we refuse to forgive, sin seeps into our heart and tugs us further from God. Lord, please help us so that we do not slip into the sins of those who sin against us, because we think we’re standing firm on the side of right. In Jesus’s name, Amen. And may we pray for those who are hating others, those who commit violence. May we pray for them just as Jesus prayed for those he already knew would NOT accept him. There are those who act out of what they don’t know. May God give us love for those who hate, just as Jesus had it. For if we hate those who hate…are we not like them? Anne, your comment touched my heart so deeply that I had to make a few adjustments to make that point clearer than I did when I wrote this article at 2 am. Yes, we must pray for those who offend us, who hurt us, who persecute us. We must pray for the lost, those who are hurt and those who do the hurting, remembering we are lost without Christ. Thank you for sharing your beautiful, tender heart, Sister. I love you and am thanking God for you! And, I’m joining you in praying for those who hate because they have not been transformed by God’s unconditional love and forgiveness. Hallelujah! It’s not easy to turn the other cheek while standing up for what we believe. Thank you for speaking the truth in love. You are so right, Janet! None of this is easy. Lord, we need You!